The Duluth Police Department is currently accepting applications for Police Officers. The Duluth Police Department is looking for both Certified and Non-Certified applicants. Must be at least 18 years of age and must be a United States citizen. 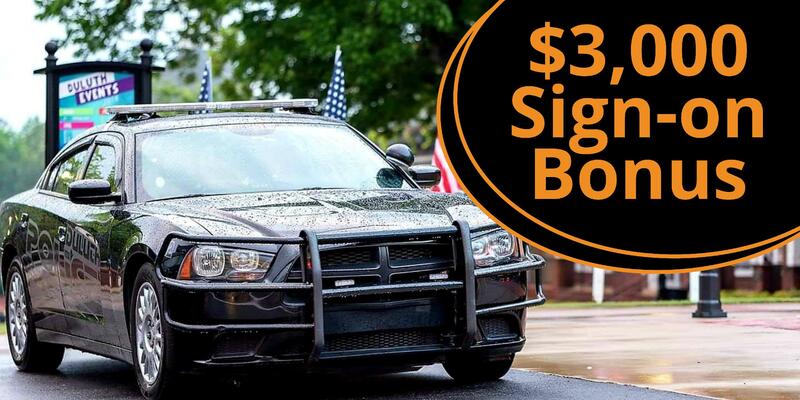 Up to 5% Incentive Pay for certain Law Enforcement Experience and Up to 5% for Language Skills in a Desirable Language. Potential for Promotion to Master Police Officer with 5% raise based on acceptable Job Performance and Passing Written Exam. For more information regarding the requirements for this position, please read the Job Description. For information regarding Benefits, please read the Duluth Benefits Handbook. A rigid and thorough personal, work experience, and qualification background investigation is required, which includes: Medical Exam, Physical Agility Exam, Drug Screening Test, Psychological Tests (Written and Clinical), Polygraph Examination, Verification of ALL Credentials and Qualifications (Personal References, Previous Employment, POST Status, Education, Training, Etc.) and Interviews. You can pick up an application at the Duluth Police Department, or Download an Application. For more information, please contact Major Mark Hunter at (678) 512-3710 or via email at pdcareers@duluthpd.com.